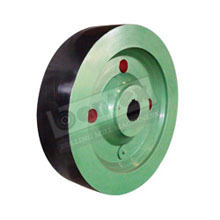 We are a prominent manufacturer of Fly wheel that is renowned for its efficient performance and developed with the help of effective technology. 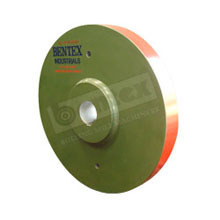 We are offering the wide assortment of the Metal Wheels to our valuable clients. These precision engineered products are huge in demand in domestic and in various foreign markets as well. The entire product range is strictly examined by an experienced and qualified team of quality inspectors and the complete test is based on various quality parameters. These are widely appreciated for the longer service life, corrosion resistance and easy maintenance. 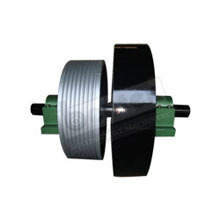 We are offering the wide assortment of the Metal Wheels and V Belt Pulley to our valuable clients. These precision engineered products are huge in demand in domestic and in various foreign markets as well. The entire product range is strictly examined by an experienced and qualified team of quality inspectors and the complete test is based on various quality parameters. 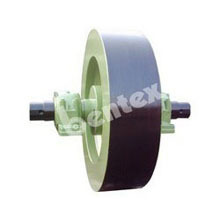 These are widely appreciated for the longer service life, corrosion resistance and easy maintenance. FW The precision engineered industrial flywheels offered by us are heavy metal wheels attached to drive shaft. Its precision designs allows weight to be concentrated at the circumference that helps in reducing speed fluctuation by storing extra energy during part load which is released at the time of overloading. Maximum up to 20 M.T. Statically, Dynamically and Mechanically balanced.